At any Men’s Wearhouse location, a tailor on site will be able to alter and tailor any new purchase or even an article of clothing you already own. Depending on the type of tailoring required, the costs can greatly vary. 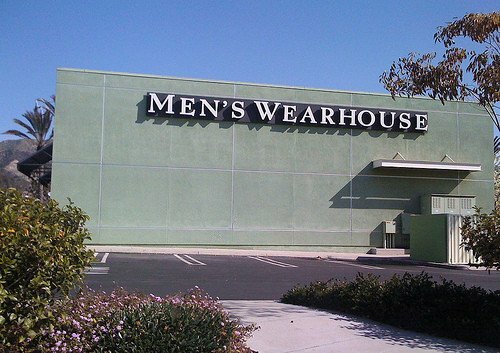 How much does tailoring cost at Men’s Wearhouse? On average, most of the alteration costs at Men’s Wearhouse, when we contacted the company, greatly depended on the article of clothing, but for the most part, most jobs were within the $10 to $60 range. NOTE: Use these as an estimate only since these prices are subject to change. These are the prices for garments purchased at the Men’s Wearhouse. If you were to bring in outside garments, it appears they will still tailor the items; however, it appears they add a slight surcharge to each estimate – about $4 to $6 extra per item, according to StyleForum.net. Visit or talk with your nearest Men’s Wearhouse for more information in regards to exact costs. As for customized suits, the company does offer this option, with prices starting at $400 and increasing from there, greatly dependent upon your fabric choice, additions and the turnaround time required. According to the company, a customized suit can take up to seven weeks to complete, but if you pay a rush shipping fee, it can be done in as little as three weeks. The company guarantees 100% satisfaction after it’s been tailored. If you’re not happy with your purchase, you can bring it back to any location within 90 days of purchase for a full refund. Even if the company altered a seam once, they will alter it again in the future at no costs within limitations of the original garment. If you purchase a pair of slacks at any Men’s Wearhouse location, same-day hemming is available while you wait. Any other alterations are usually handled within 24 hours, according to the company’s website. If you purchased online, you can bring it into any one of the company’s 700 stores to have it tailored on site.